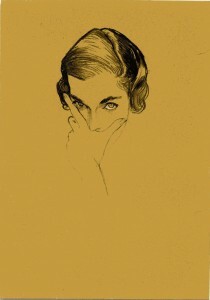 The Drawing Fashion exhibition at London’s Design Museum, sets out to explore this through a rich collection of fashion illustration from the 20 and 21 century collected over 30 years by Joelle Chariau of Munich’s Galerie Bartsch & Chariau who is a leading experts in this field. The exhibition includes drawings from the house of Chanel, Dior, Comme des Garcons, Poiret, Lacroix, McQueen and Viktor& Rolf and is ideal for those interested in fashion sketches! Also on show are rare works by key artists at the height of their careers. Drawing Fashion’ is on at the Design Museum until 6 March 2011.